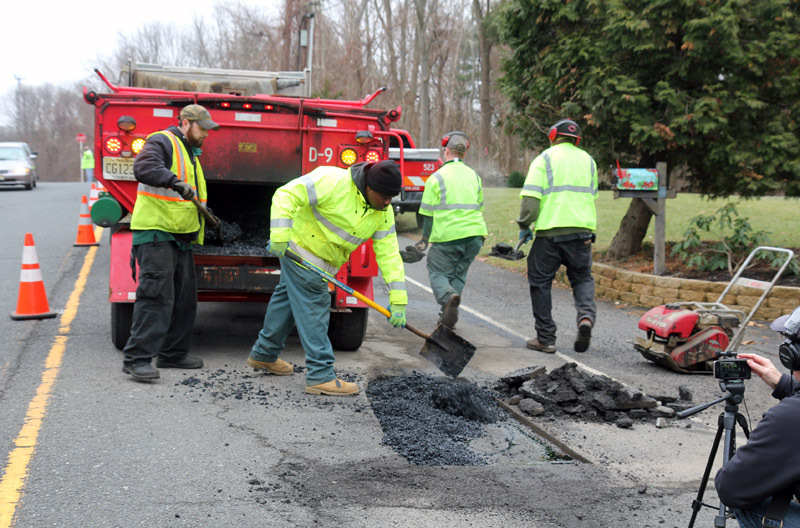 Residents can report a pothole on a County road by calling the Monmouth County Highway Division of the Department of Public Works and Engineering at 732-431-6550. 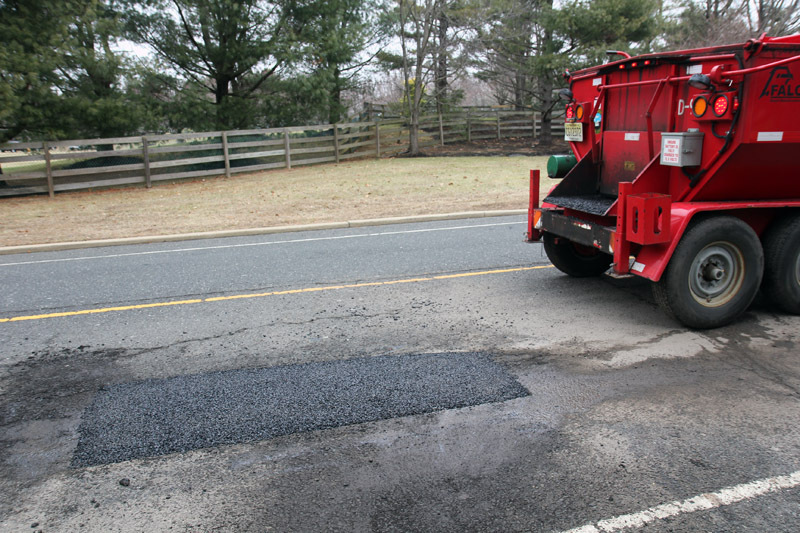 If you come across a pothole on a State highway, you should report it to the NJ DOT at http://www.state.nj.us/transportation/commuter/potholeform.shtm. Potholes on Local roads should be reported to the appropriate local municipality. 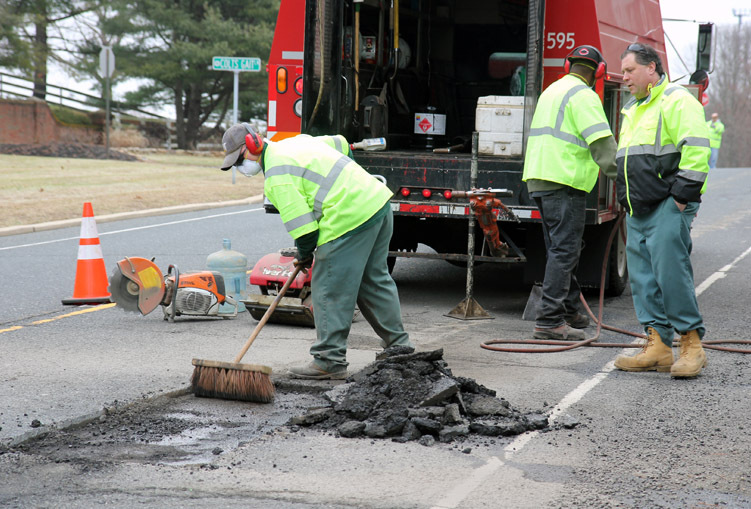 Below are photos of a County Public Works crew completing a pothole repair from start to finish. The pothole is marked out and workers begin to saw out the damaged area. 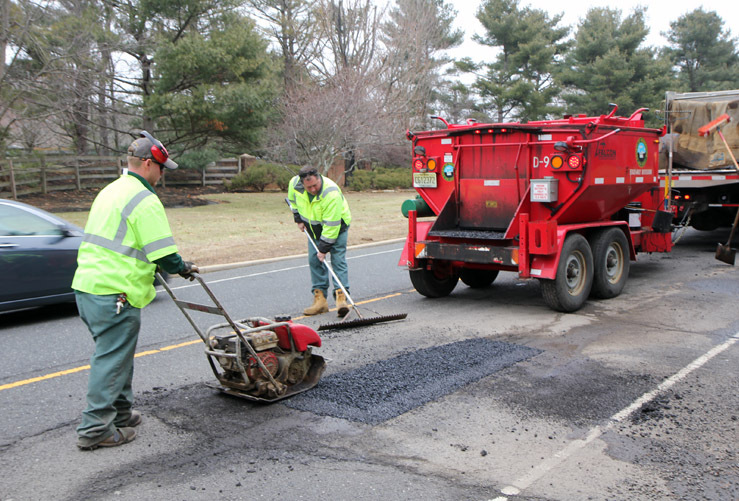 Workers clean out the old asphalt which will be recycled and used for future pothole repair. New asphalt is shoveled into the area. 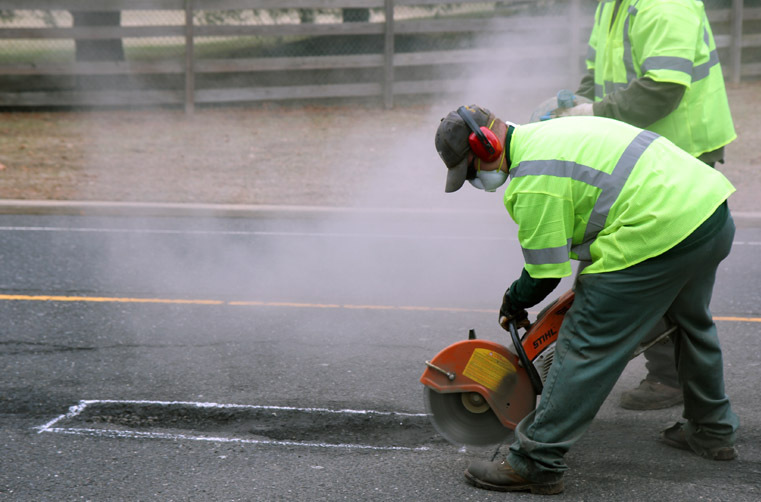 A vibratory roller seals in the asphalt. The pothole repair is complete.